I make sculpture from scrap industrial steel, cutting by hand with a plasma torch at 45,000° Farenheit. That’s 4.5 times as hot as the surface of the Sun or the Earth’s core. 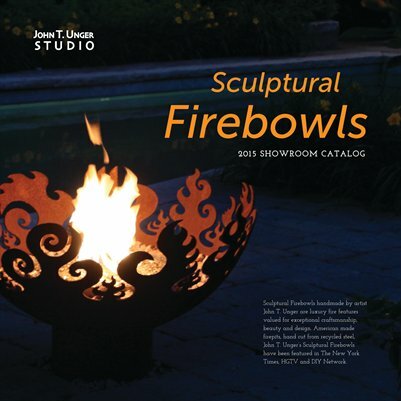 Since I first created the Great Bowl O’ Fire in 2005, my art has set the world ablaze— I’ve shipped over 1000 firebowls to 50 states and 14 countries.